Family secrets. The life of trade unionist Mary Macarthur, who is now the subject of a folk opera. Gender pay inequalities in UK nursing. Presented by Jenni Murray. More Family Secret, today we hear from Prue who's niece brought her a DNA kit for her 70th Birthday. 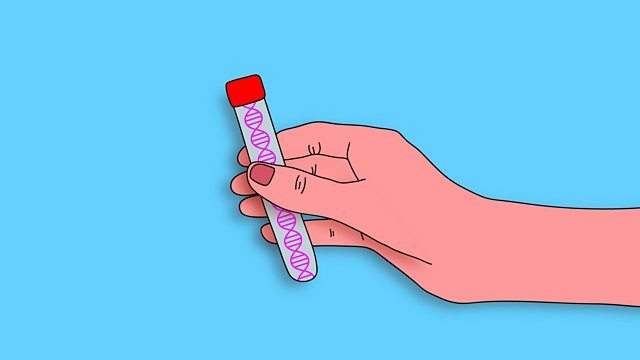 When she found out that she could find people with matched DNA, she was shocked to discover that the man who brought her up was in fact NOT her biological father. Since then she's been trying to find him. Reporter Jo Morris meets her at her home to talk about the impact the news had on her. Rouse, Ye Women! a folk opera is currently on tour around the country. It tells the tale of Mary Macarthur, a female trade unionist in the early part of the twentieth century who relentlessly fought for better working conditions and pay for women. We hear from actor and singer, Bryony Purdue who plays the activist and Mary’s biographer, Dr Cathy Hunt. And Fatimah Asghar, is an impassioned voice on the experience of young Pakistani-American women and the voice behind the web series Brown Girls. She shares some of her debut poetry collection which examines daily microaggressions and the long term trauma that the Indian-Pakistani partition has had on her culture. Why do men still earn more in professions dominated by women?